Learn to create unique palettes for stunning jewellery. 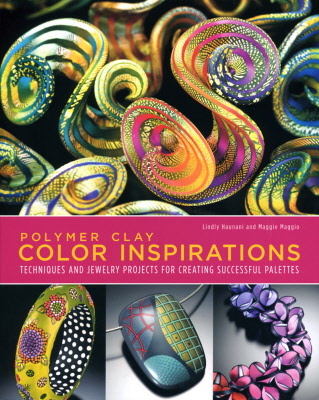 This unusual book offers a very different approach to polymer clay artistry. The main emphasis is on colour theory and how to select and combine colours to create spectacular jewellery. 144 pages with full colour photographs and diagrams throughout. Invaluable reference tool for creating jewellery designs. Complete eleven helpful exercises and ten exciting jewellery projects that help you analyze your personal colour prefences.